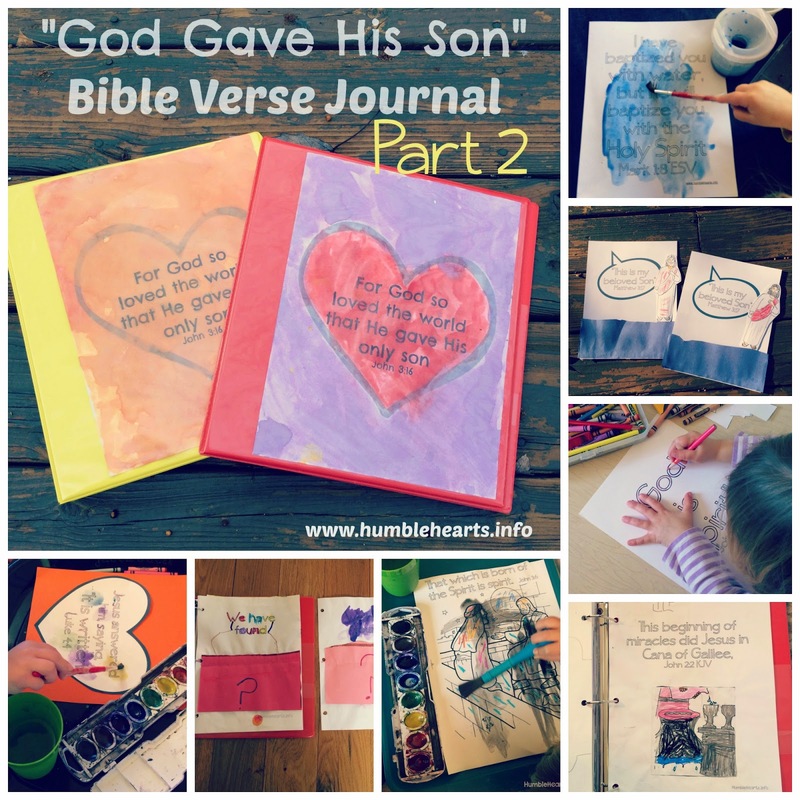 This Bible verse journal, "God Gave His Son", is focusing on the life of Jesus Christ. Part 2 is the beginning of Jesus Christ's ministry. Feel free to join in at Part 2, even if you didn't do Part 1! 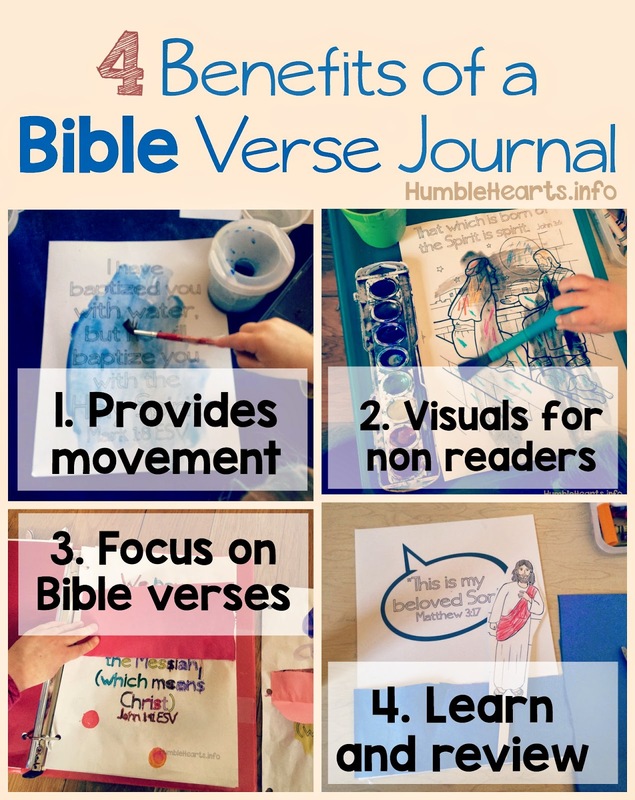 Each page of the journal has a link to teaching ideas related to that Bible verse. See also the Jesus Christ Our Savior Teaching Series Overview. 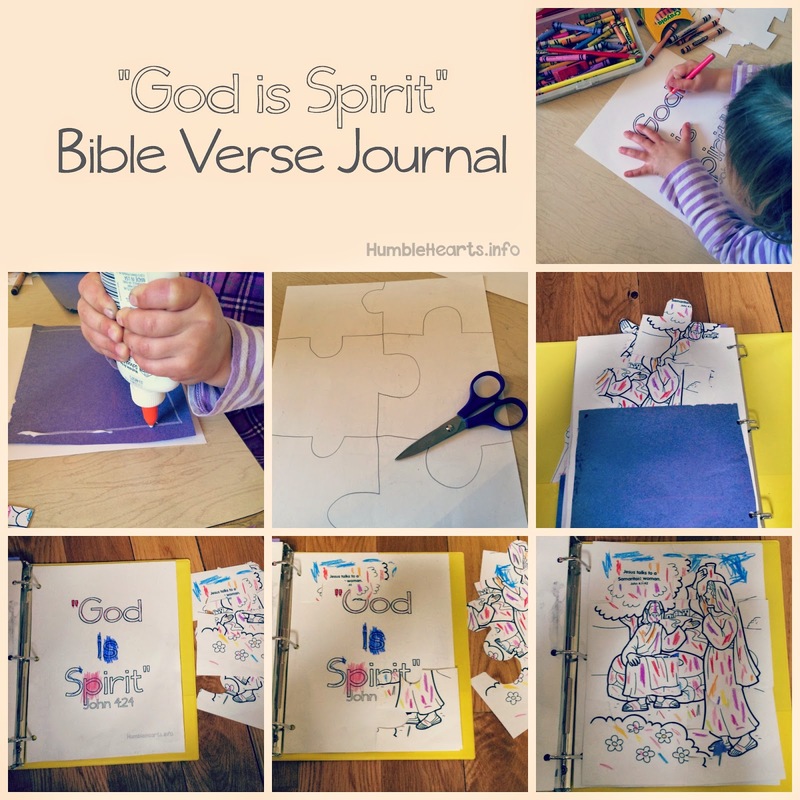 A Bible Verse Journal is a collection of Bible verses you have taught to your child. 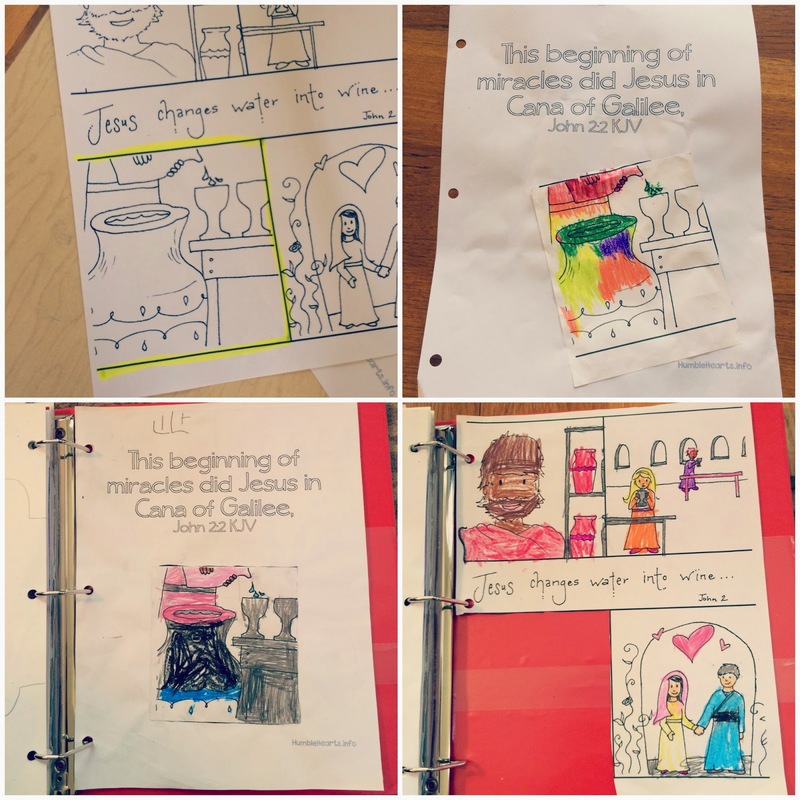 The Bible Verse Journal provides a chance to do a craft that reinforces part of the record that your child learned. 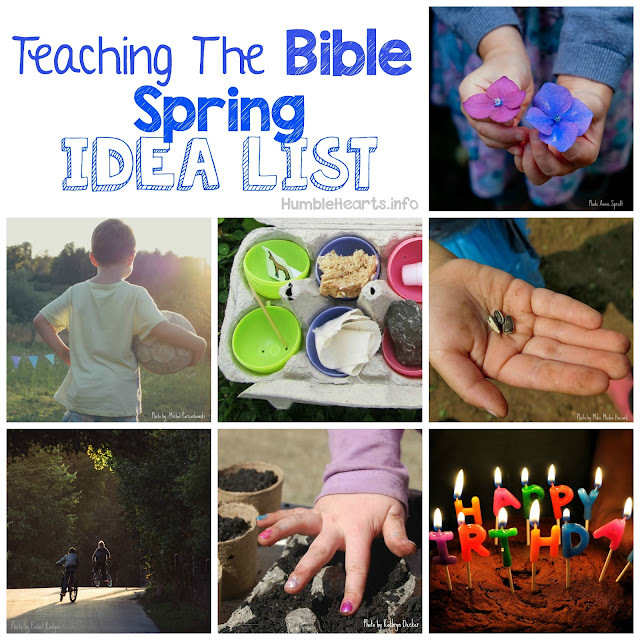 Provides action and movement while learning the Bible. Visuals for children that don't read yet. Focuses on the actual Word of God from the Bible. A tool for children to learn and review Bible verses. Note: This is how I made our Bible Verse Journal. My hope is that it gives you ideas that you can use for your family. There are many ways you could adjust it to better fit the interests of your family. 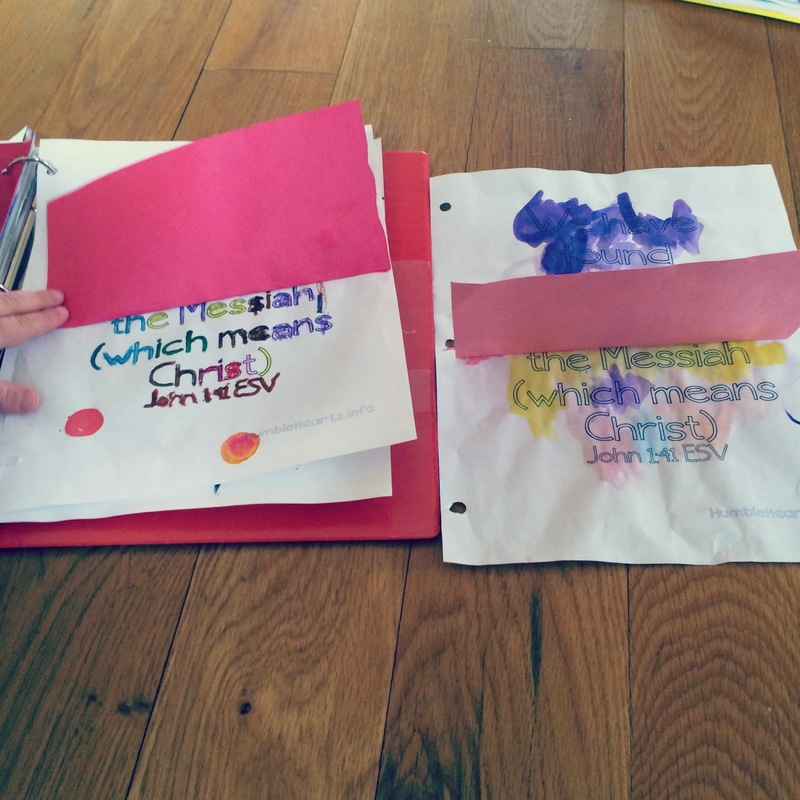 For example: older children might want to write out all the verses and draw pictures of each records, etc. 2. Color or paint. If painting make sure the paint isn't so dark that you can't read the words. We used watercolors. 3. Put in clear front flap of the binder. 1. Print the verse page on card stock. 2. Paint with blue watercolor paint. 1. 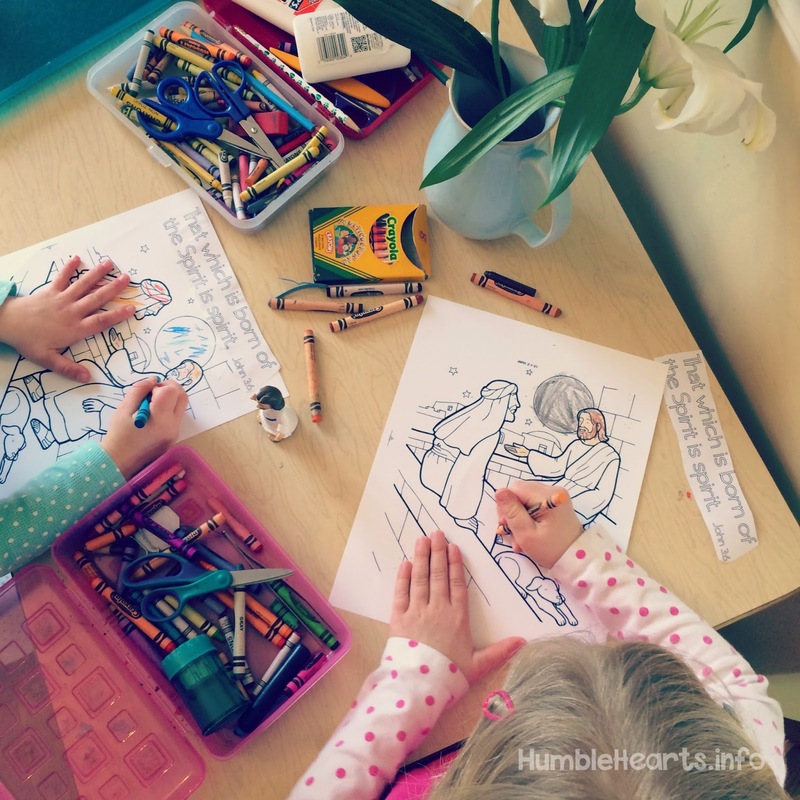 Make a puppet of Jesus by cutting out a picture of Jesus standing from a coloring page (I used the one from here ). 2. 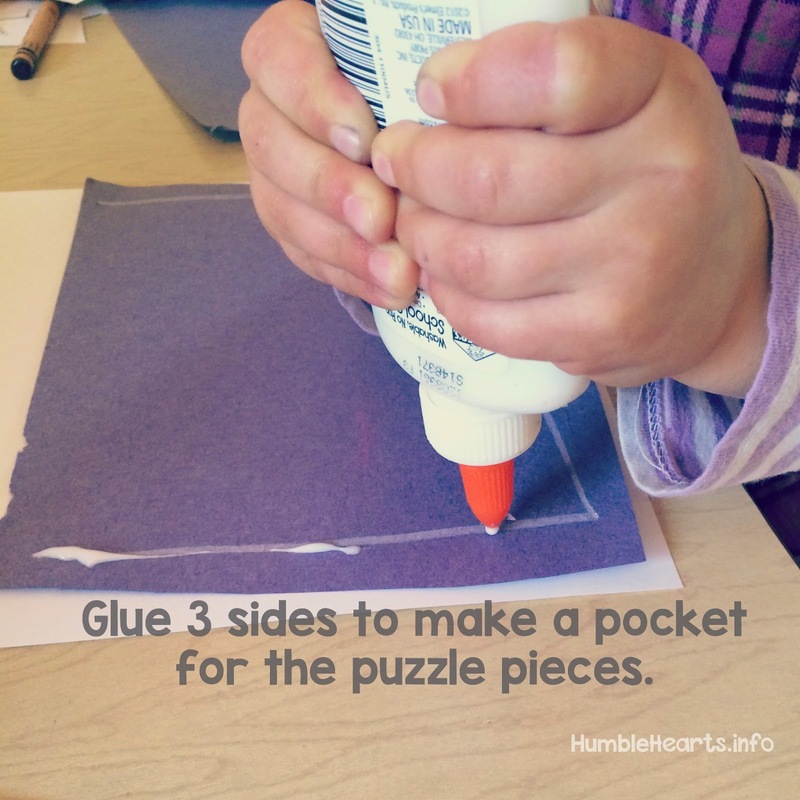 Glue or tape a craft stick on the back. 3. Print out the Bible verse. 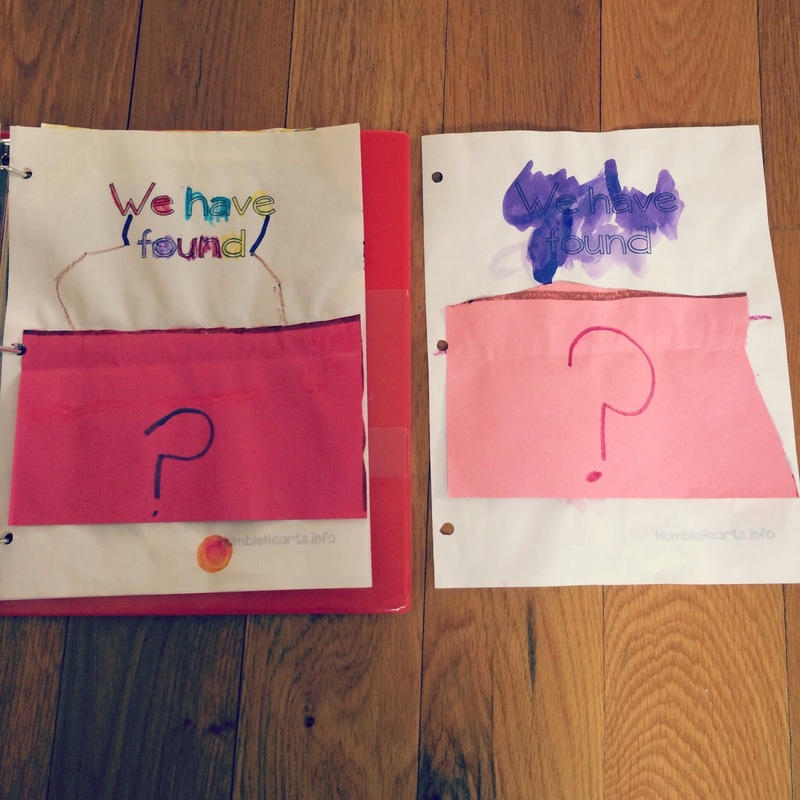 4. glue a blue construction paper pocket at the bottom of the page. 5. Place Jesus standing in the water. 6. Add it to your 3 ring binder. 1. Print out the heart with verse. 3. 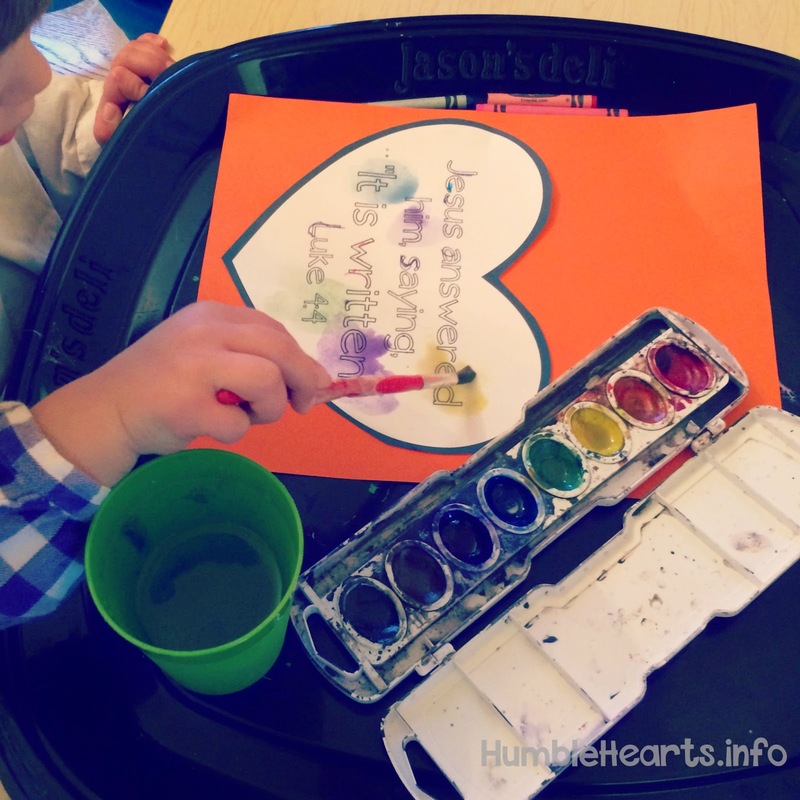 Have your child decorate heart. 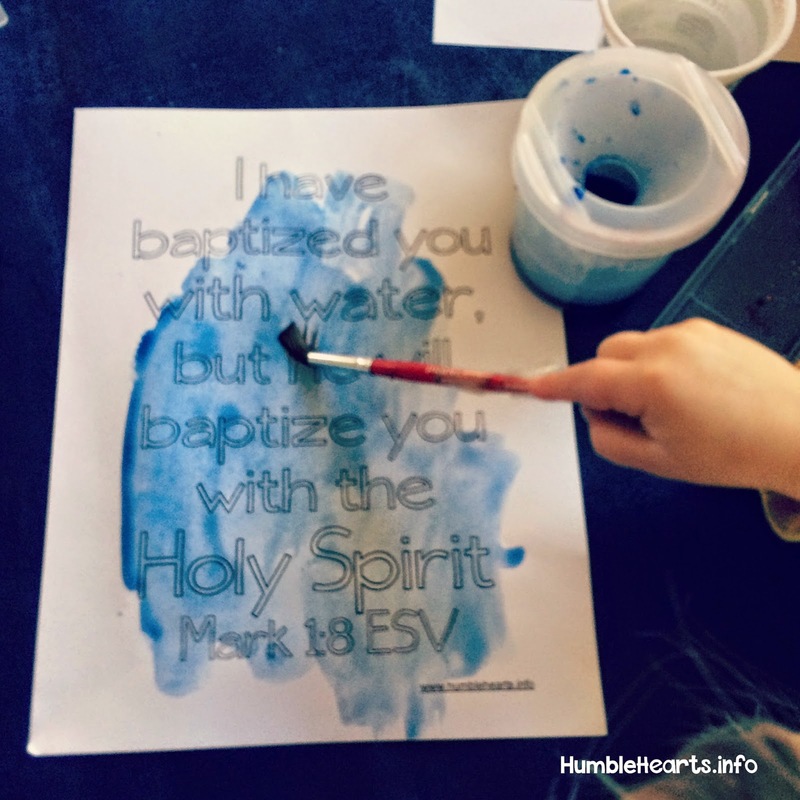 (color or paint with water colors). 4. 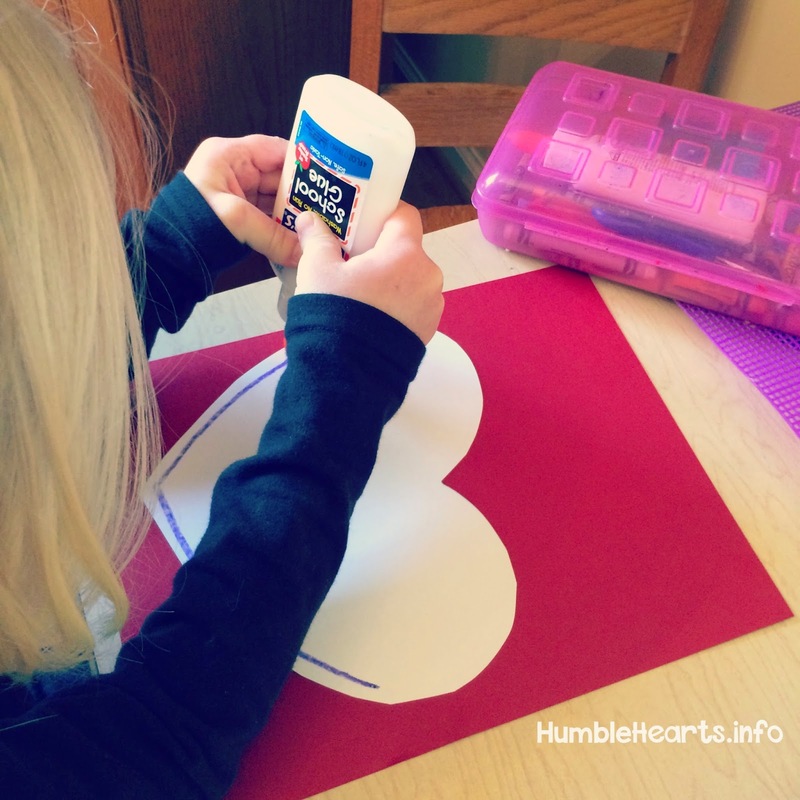 Glue bottom half of heart to piece of paper to make a pouch. 5. 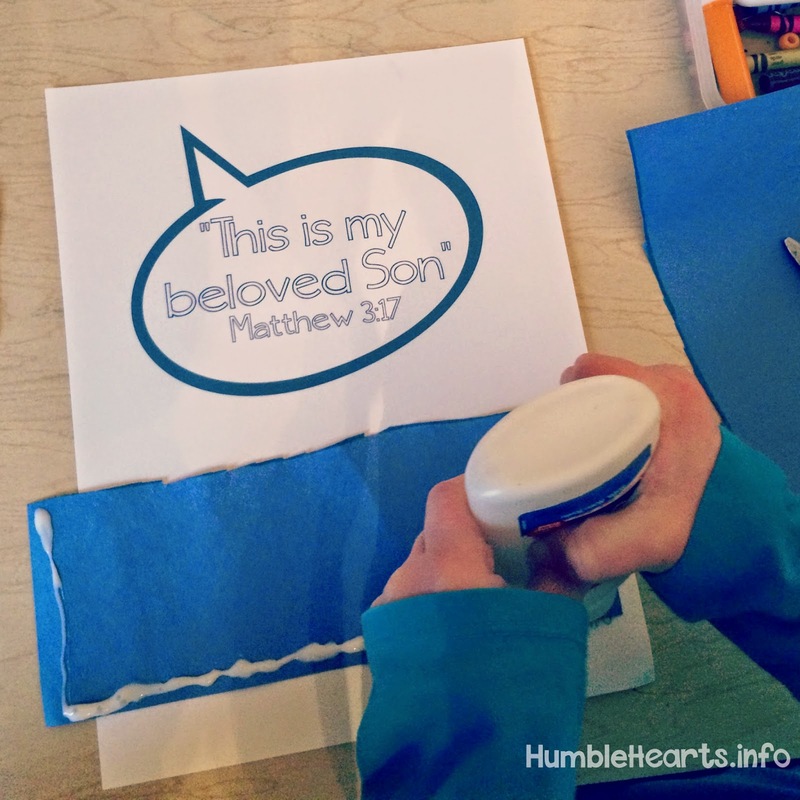 Write a Bible verse on a slip of paper (choose one that you want your child to learn). 6. Put page in 3 ring binder. 1. Print out Bible verse. 6. Write a “?” on top of the flap. 7. Put page in 3 ring binder. 4. Paint with black watercolor paint over the picture. 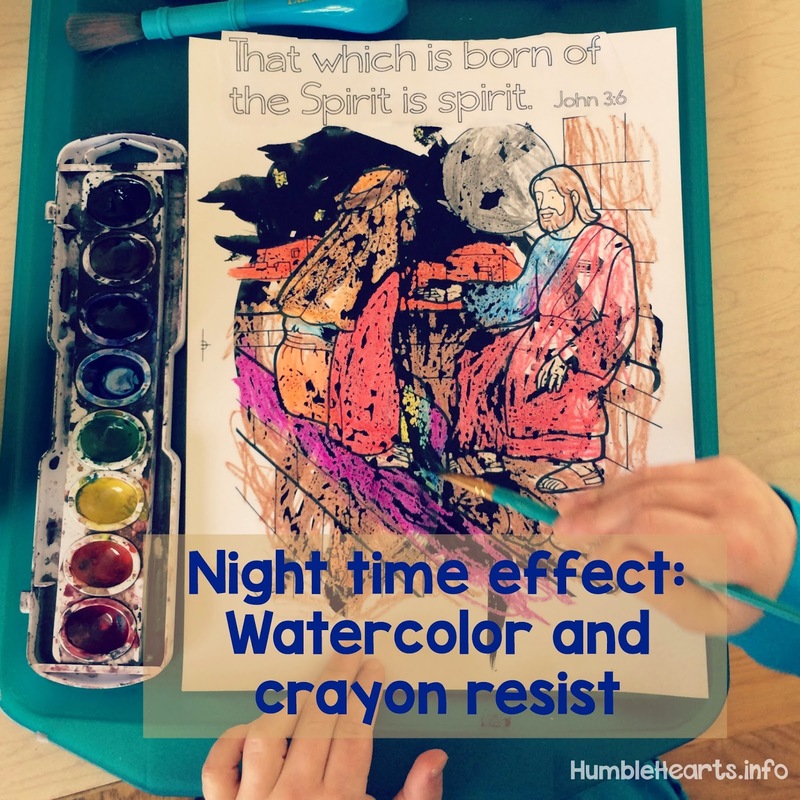 The crayon will resist the black paint, and the picture will look like nighttime. 5. Add page to 3 ring binder. 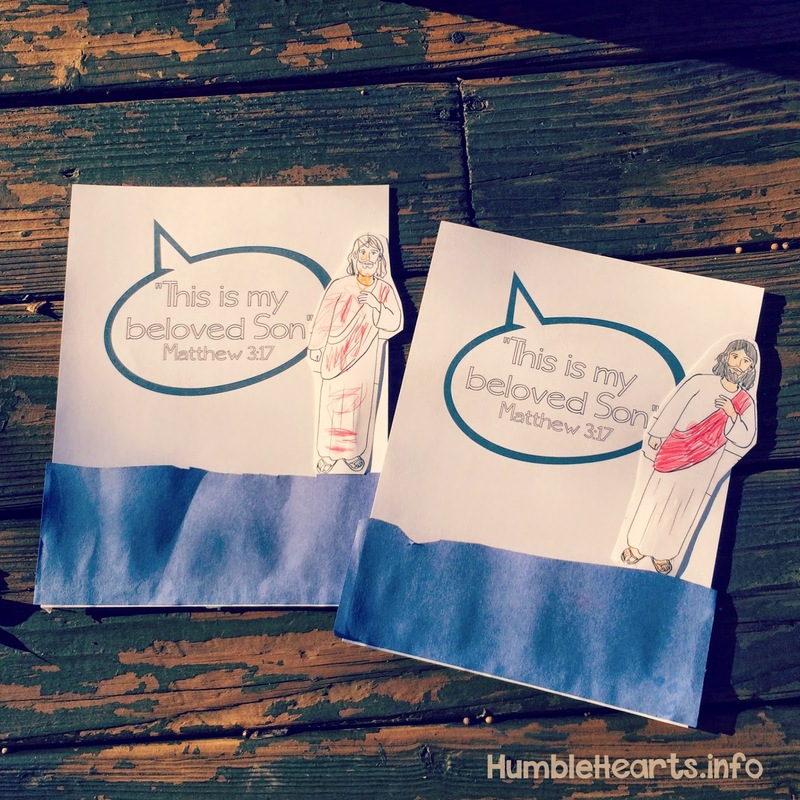 *Alternative: Printout theme verse, and have your child draw a picture of Jesus talking with Nicodemus. 1. Print the Bible verse. 2. Decorate the verse by coloring or painting it. 8. Add page to 3 ring binder. 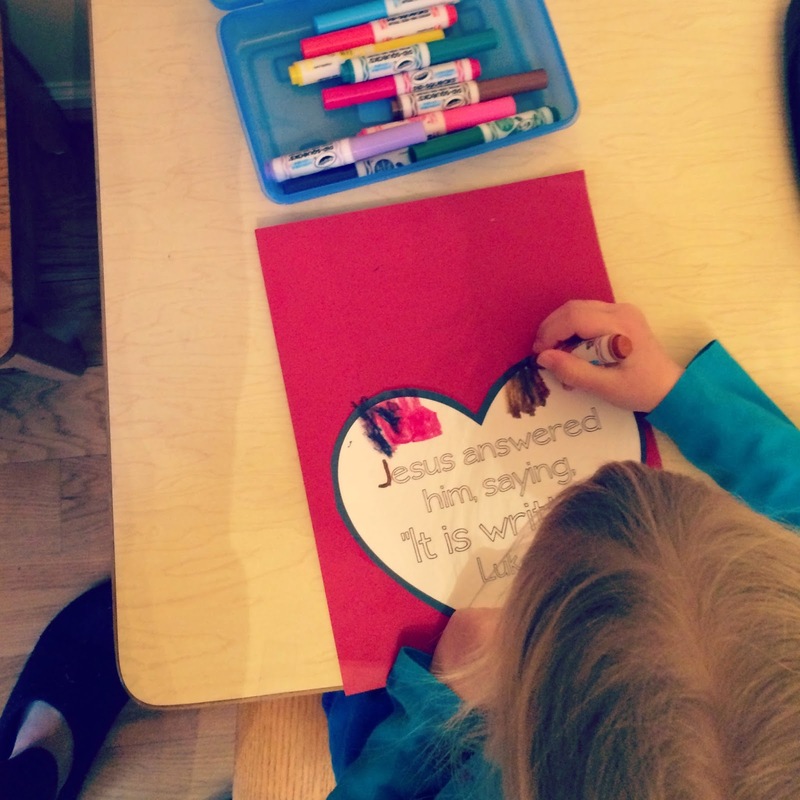 *Note: You can sing the "By The Well" song while you do this craft. 1. Print out the Bible verse from here and coloring page from Ministry-To-Children. 4. Glue the picture to the Bible verse. Jesus Christ Our Savior Teaching Series Overview.